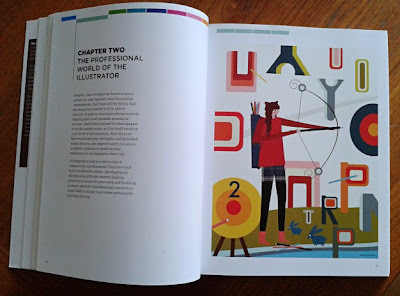 Becoming a Successful Illustrator, Bloomsbury, by Derek Brazell and Jo Davies, is a well designed, clearly laid out book on what it takes to become a working illustrator. Derek and Jo have a long history working in illustration and met as board members of the Association of Illustrators (AOI), developing first the journal and then later launching the award-winning AOI magazine, Varoom in 2006. 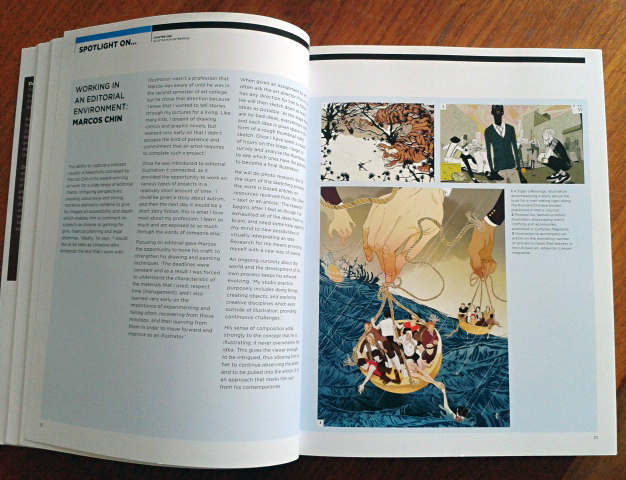 Jo Davies also holds the position of Associate Professor in Illustration at Plymouth University. This is not the first book on which the authors have collaborated, Making Great Illustration, A&C Black, came out a few years ago. The book opens up with the elastic nature of illustration, crossing into many applications in the image heavy world we live in. 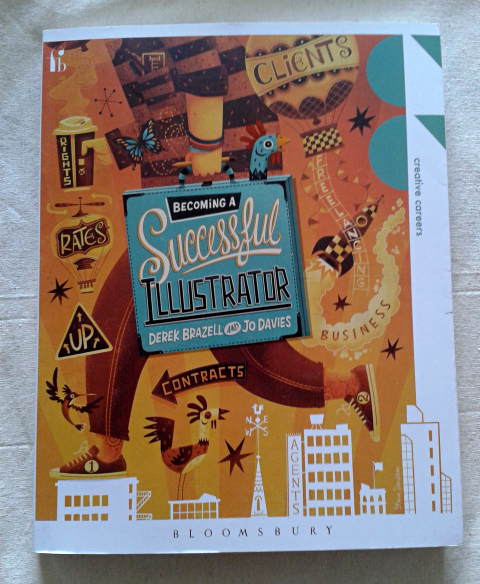 This is good news to those practitioners just entering this broad field as well as those long time illustrators who are always looking for different income streams for their work. 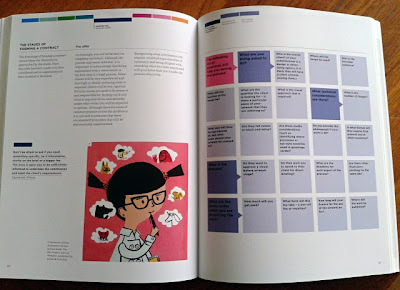 Illustrations represented throughout the book include traditional to digital, editorial to advertising, product to visualising and concept, paper to screen, film to toys, motion graphics to animation, and to publishing of all kinds. This is not a book concerned with only one way to work as an illustrator, and I wouldn’t say that this is a book only for beginners. Rich visuals cover almost every page in this informative book, giving the reader a slice of the work produced by great contributors. 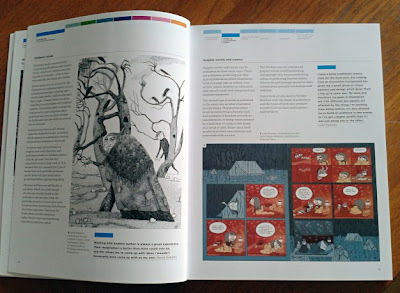 The range of illustrators shown include those you may know, such as David Roberts, Luke Pearson and Zachariah OHora, to many you may not and wouldn’t be a bad idea to get to know. 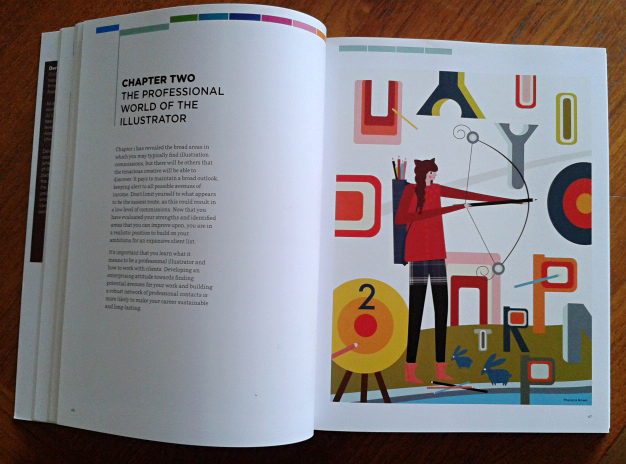 After having your eyes opened up to how broad and encompassing this field is, the reader is taken into the world of a professional illustrator and what it entails. Many of these things have not been addressed in art school, leaving graduates glazed over with the prospect of where to start and how to break in. It may surprise the reader that attributes like; reliability, good communication, confidence and the ability to be calm, are emphasised as important to professionalism. Beautifully designed, a multicolour strip runs along the top of each spread, giving the reader a visual bookmark. The text is easy to take in with clear subheads, three column format, bold underlined quotes and toned panels for the ‘Spotlight On’ pages. Other areas covered include associations, networking, self-promotion, contracts, rights, working with an agent, client relationships, and the list just goes on. 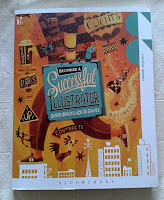 Living up to the book's title, there's everything a successful working illustrator needs to know. 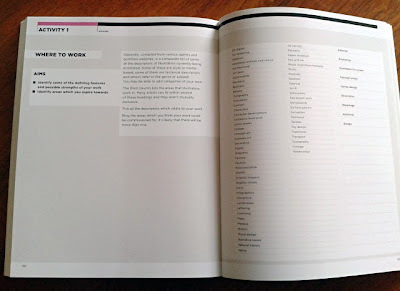 Of note are the Activity Pages that help you look critically at your work, skills and where in the market your work fits in, along with promotion strategies, fees and costings. 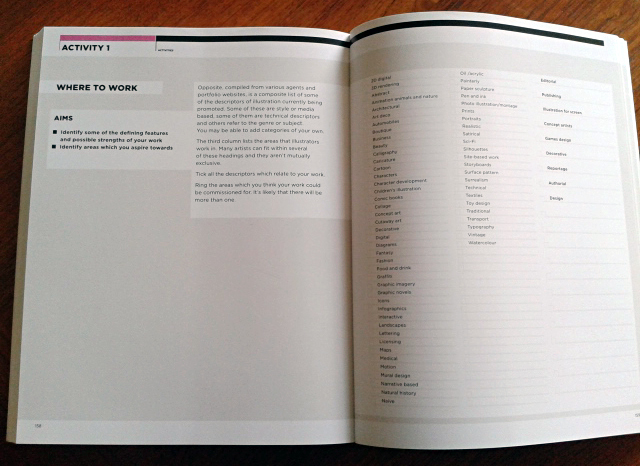 These pages are set up to allow the reader to use as workbook pages. Not to be left out of course, is the area of finance and taxes. Anne - Marie Perks is a published children’s book illustrator of several books who has also worked in editorial, advertising, and product illustration as well as storyboarding and character design for agencies. 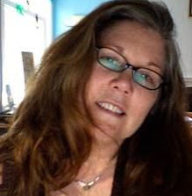 She has served as SCBWI Regional Illustrator Coordinator in the British Isles since 2001. This is such a useful review, Anne-Marie. Really helpful for people deciding whether or not to invest, thank you. It really does sound comprehensive and practical. I completely agree with the attributes they ascribe to a professional illustrator - without them you would have a very short career. Discover our proven formula for starting your own online business and taking control of your financial destiny. Pre-Order Serve No Master Today!